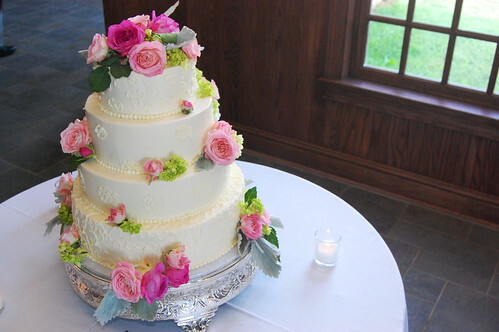 Food Photography: Wedding Cake Part 2! I found some great photos that the professional photographer, Dominique Attaway, took at the wedding I mentioned yesterday. 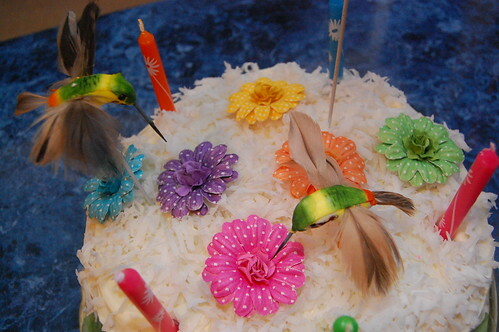 I think these food shots are terrific. Sadness is comparing photos you took with those of a professional photographer – I’ll spare you mine and just share hers! 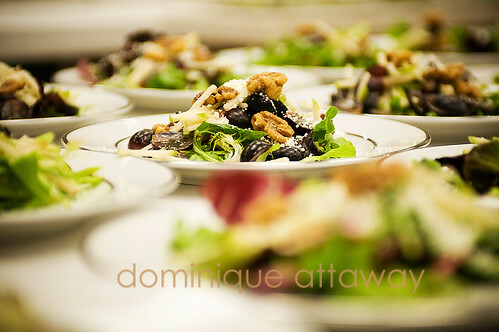 Albemarle Salad with baby greens, Granny Smith apples, grapes, candied walnuts, cheese and Honey Lavender Vinaigrette. 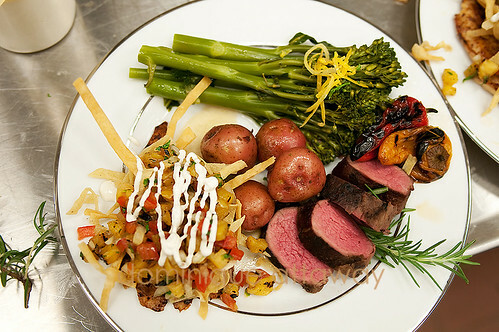 Grilled Bistro Tenderloin, “Deconstructed” Fish Tacos, Roasted New Potatoes and Broccolini. I was at a wedding this past Saturday at Sweely Estate Winery in Madison, Virginia. 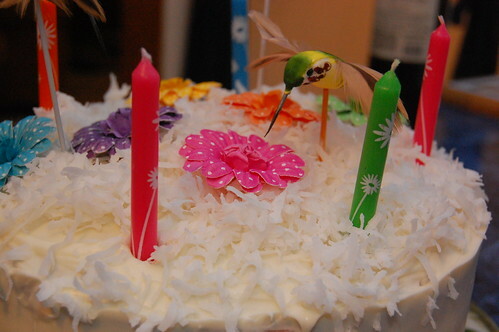 Just try to tell me that this isn’t a GORGEOUS cake! Vanilla buttercream filled with chocolate and deliciousness. Hello everyone! Remember me? It’s been a summer of activity so far. Many trips, many dependencies, many stories. Not a whole lot of cooking, I must confess. Besides the usual heat that does its best to discourage culinary experimentation, times have just been packed. But we are not dead; not by a long shot! Broccoli is, by far, my favorite vegetables (don’t ask Heather what hers is. one cannot have one if one hates vegetables) and often stars in last-minute dinner dishes, as have been the trend as of late. This pasta dish is in the traditional Italian style, meaning this isn’t some spaghetti with gobs and gobs of sauce on it. The sauce, while prominent in flavor and texture, is a condiment to the delicious pasta. In hindsight, I would go with a larger noodle; perhaps farfelle (bow ties) or conchiglie (shells). 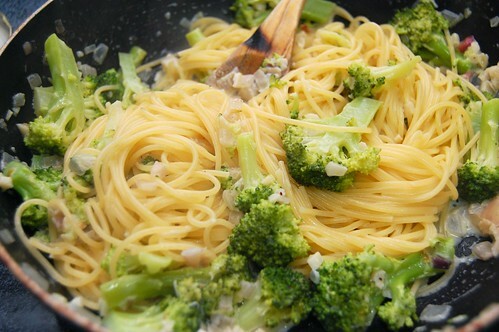 The broccoli separate rather easily from the strands of thin spaghetti I used. Steam your broccoli for about five minutes and set aside. You can also parboil if you’d like. 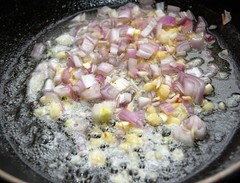 Melt the butter with the oil in a large pan, then cook your shallot and garlic in medium to medium-high heat until softened; about 4 minutes. Reduce to medium, add your cream and cook for a few minutes. Be sure to stir semi-constantly to prevent burning. Add the broccoli along with salt and pepper to taste and stir to combine. Add your pasta (or vice versa), serve and enjoy. Just in time – keep the World Cup spirit going longer with world flags made out of food. Yeah, it’s kinda like that.. Comments Off on Yeah, it’s kinda like that..
Edwin and I have been pretty busy and fell off the face of the earth for a while. It happens! 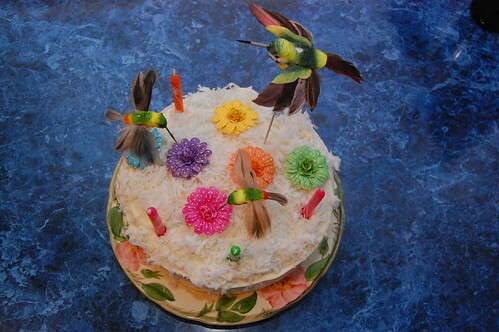 Today I’m celebrating my birthday, and my mom brought up a hummingbird cake, complete with hummingbirds. Hope you enjoy and are having a great summer so far! 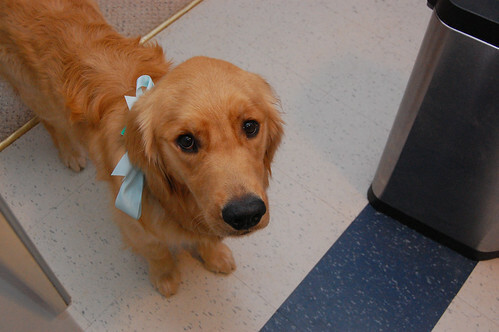 And a birthday dog in a blue ribbon. Hello, Biscuit.